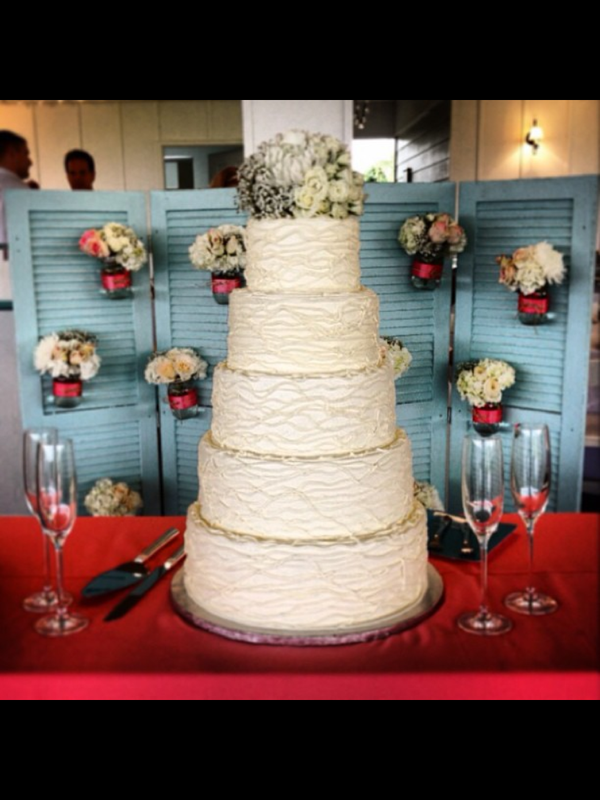 This beautiful 5 tier wedding cake was created for Katie and Jarred’s wedding at Ashley Inn in Lancaster, KY. The cake was iced and piped in vanilla buttercream. The bride and groom chose white and chocolate cakes alternating with fresh strawberry and fresh raspberry fillings. 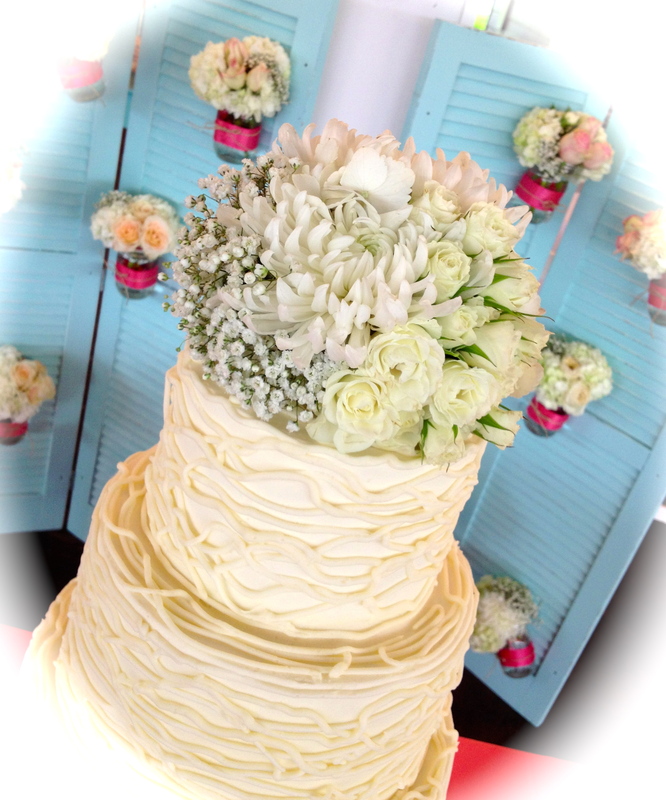 The cake was adorned with white roses and white hydrangeas as the cake topper. Terri’s Catering provided the meal for the guests. Cook Designer Portraits was the photographer. 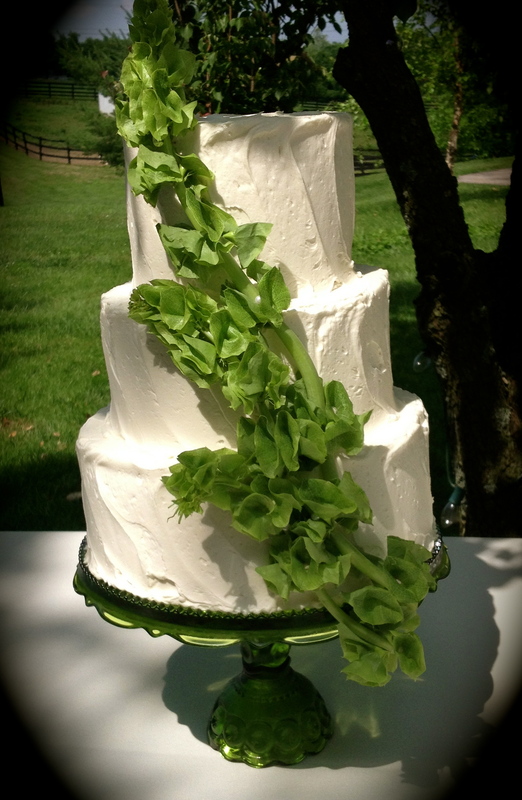 This simple and pretty cake was created for Jamie and Brian’s outdoor wedding at the Ashley Inn. The cake was iced in a vanilla buttercream and adorned with Bells of Ireland. The cake was displayed on an antique moon glass cake pedestal. The bride and groom chose red velvet, strawberry limeade and white cake for the bride’s cake. The cake created for the groom was in the shape of a guitar and the flavor was guinness stout cake with chocolate ganache and Irish Cream buttercream. Photography for the bride and groom provided by R. T. Photography. For more information or to schedule a complimentary consultation and tasting, call The Twisted Sifter Cake Shoppe at (859) 238-9393. 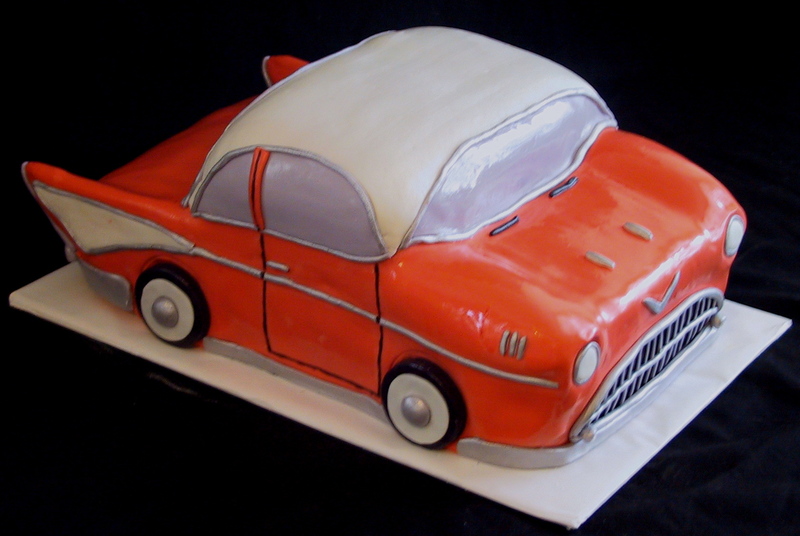 This 57 Chevy 2 door sedan cake was created for the 50th wedding anniversary of a Harrodsburg, KY couple. The cake was ordered by their daughter’s as a surprise for the party. 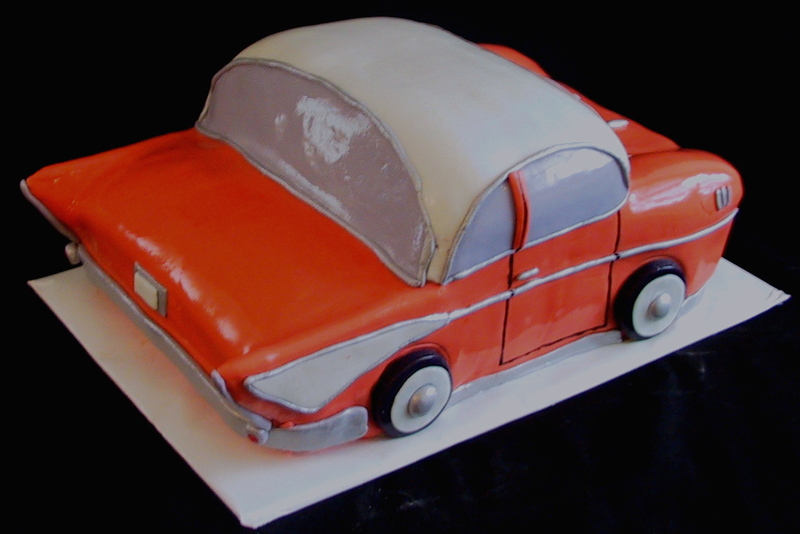 The car is coral and ivory and is white cake with a blackberry filling. The car was constructed out of cake and then covered in fondant. The chrome parts of the car were hand painted with silver luster dust. This cake was created for Dr. Callie Garrison of Danville Chiropractic. The cake was white with a bavarian cream filling with fresh raspberries. The cake was iced withvanilla buttercream tinted to a coral pink with softer coral tones. 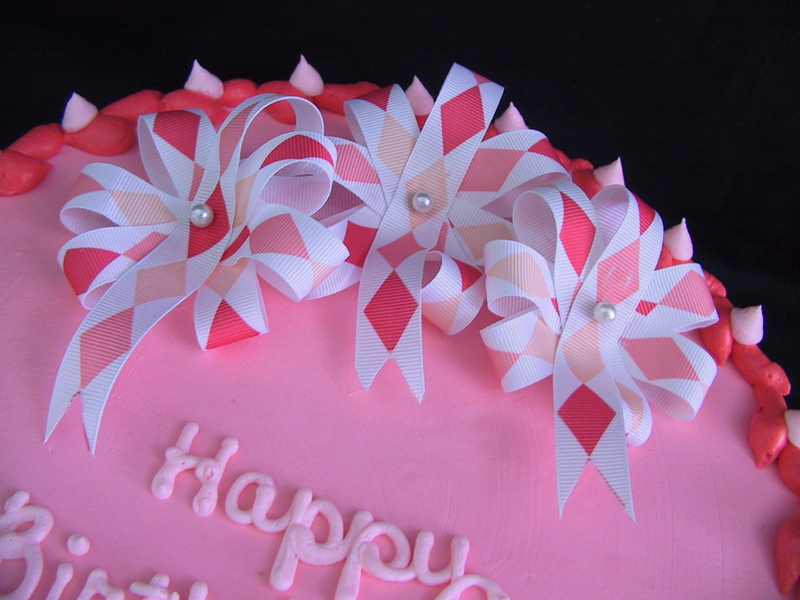 The color scheme was adapted to coordinate with the ribbon bows. This Paris Eiffel Tower themed welcome home cake was two different flavors decorated in Parisian colors. The top layer was a white cake with lemon filling and the lower layer was a white cake with an English custard. The Eiffel Towers were made from royal icing and outlined in edible marker. 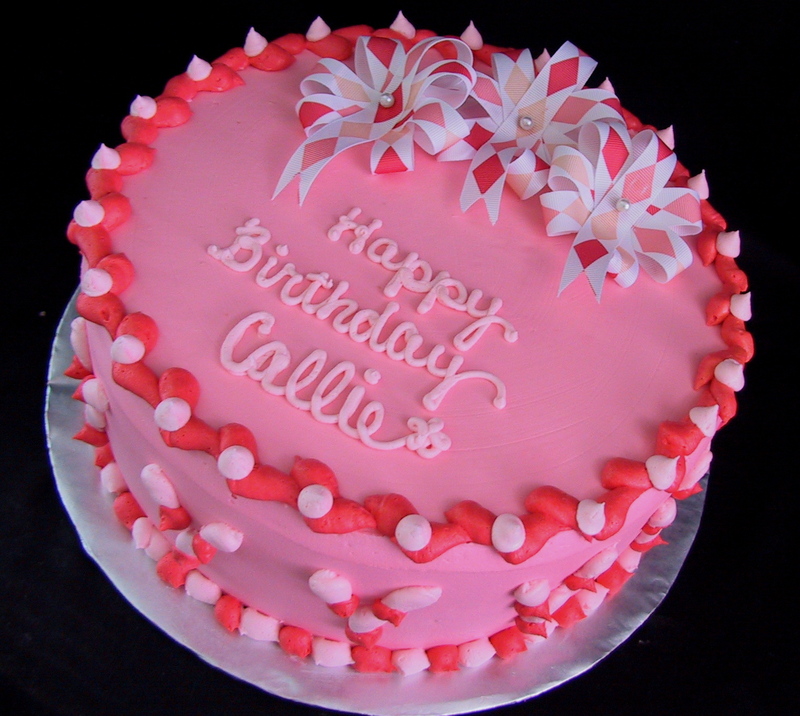 To order a cake, call The Twisted Sifter Cake Shoppe at (859) 285-0306.